While it hasn't shown up yet on the beta version of iOS 7, Apple is said to be thinking about baking LinkedIn integration right into the new build of Apple's mobile OS. Those who are familiar with the plans say that it would look similar to how social networks like Facebook and Twitter appear with their integration that started with iOS 6. The LinkedIn integration would allow Apple to boast of the iPhone's ability to connect quickly to a program that is so business oriented as LinkedIn is. A single sign-in process, similar to what Apple uses for Twitter and Facebook, would be used. 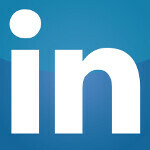 Using a share-sheet or iOS apps, users will be able to post content to LinkedIn, including web links. Currently, while some menton of LinkedIn does appear on iOS 7 code, some pieces for LinkedIn are missing which explains why the beta version of iOS 7 does not yet show the integration. It is unclear whether Apple will decide to have the necessary code added, or whether it will just allow LinkedIn integration to fade away from iOS 7. Letting LinkedIn just fade away from iOS 7 is not as far fetched as it sounds. Apple had tested Facebook integration on iOS 4, but no official deal was concluded until iOS 6 was unveiled last year. So far iOS 7 officially has added integration with Vimeo, Flickr and Tencent Weibo. You can check the slide show below to see how iOS 7 does already contain some code relating to LinkedIn integration. This means more random LinkedIn invites from strangers I have never met my whole life. No thank you. After reading the title, are you pondering what I'm pondering? Please! Let someone get that reference!